On 27 March 2016, Easter Sunday, at least 75 people were killed and over 340 injured in a suicide bombing that hit the main entrance of Gulshan-e-Iqbal Park, one of the largest parks in Lahore, Pakistan. The attack targeted Christians who were celebrating Catholic Easter. However, as both Christians and Muslims were mingled in the park, Muslims were also killed. The majority of victims were women and children. Jamaat-ul-Ahrar, a group affiliated with the Pakistani Taliban, claimed responsibility for the attack. The attack led to worldwide condemnation and national mourning throughout Pakistan. Pakistan also launched a widespread counter-terrorism operation in South Punjab, arresting more than 200 people. A photograph of Gulshan-e-Iqbal Park. The bomb was detonated by the park's main gateway (not pictured). Visitors of the free park on the weekend. The Pakistani Taliban operates as an umbrella organization for various Islamist militant groups in Pakistan. These extremist groups have frequently attacked Christians, who make up 2% of Pakistan's population. Jamaat-ul-Ahrar, the perpetrator of the current attack and once a breakaway organisation that reunited in March 2015 have declared their intention to carry out more attacks in the future. The bombing took place at 18:30; a Rescue 1122 spokesman stated that they received an emergency call around 18:44, and 23 ambulances were sent to the location. The perpetrator used an explosives-packed vest. More than 40 bodies arrived at Jinnah Hospital. A shortage of ambulances forced taxis and rickshaws to transport the injured. Responsibility was claimed by the Jamaat-ul-Ahrar, a group affiliated with the Pakistani Taliban that had previously been responsible for bombings at two Lahore churches on 15 March 2015. A statement by Jamaat-ul-Ahrar spokesman Ehsanullah Ehsan said the attack targeted Christians. It was so crowded that there was even no way of entering it. We went to a canteen to have something to eat, when there was suddenly a big blast. Everyone panicked, running to all directions. Many of them were blocked at the gate of the park. Dead bodies can be found everywhere. After the attack, citizens rushed to hospitals in response to urgent requests for blood donations. On-demand cab service, Careem, offered free rides to the hospital for blood donors while activists also used social media to coordinate relief efforts, including donating blood, food, and cash. Half of the more than 300 victims were taken to Jinnah Hospital in Lahore on Sunday night. 67 remained in the hospital with various injuries such as burns and shrapnel wounds, doctors said. Prime Minister Nawaz Sharif held a meeting in response to the bombing. Pakistan's army chief, General Raheel Sharif, also convened an emergency meeting of the country's intelligence agencies to begin to track down those responsible for the attacks. On 28 March, Prime Minister Sharif directed law enforcement agencies to step up counter-terror operations against terrorists and their abettors in southern Punjab. The prime minister issued these orders to the LEA's while chairing a high-level meeting at the Chief Minister House in Lahore to review the attack and overall strategy against terrorists. He later said his government goal was to "eliminate terror infrastructure" from Pakistan but also the extremist mind-set which was a threat to our way of life. The chairman of the Pakistan Tehreek-e-Insaf party, Imran Khan, visited the victims of the blast in Jinnah Hospital. He later told the media that the current government needs to implement the National Action Plan and develop a consensus to go after terrorists in whichever province they are seeking refuge. He added that Pakistan's Government had failed to provide security to Pakistani people and that it must revisit its priorities. He later condemned the attack by saying: "It is strictly against the teachings of our Holy Prophet (Muhammad) and basic principles of Islam." On 28 March, in Punjab, several suspected terrorists were arrested alongside with firearms with full ammo recovered in different parts in Lahore, Faisalabad, and Multan. Since the night of 27 March, the army had conducted a military operation for capturing the terrorists. Al Jazeera noted that the bombing "underscored" both the "precarious position" of Pakistan's minorities and the fact that the fighters from armed groups "are still capable of staging wide-scale assaults despite the months-long military offensive targeting their hideouts and safe havens in remote tribal areas". On 29 March, Pakistani authorities conducted a counter terror operation with more than 5,000 questioned, and more than 200 suspects detained. Anonymous government and security sources told Reuters that a decision has been made to launch a full-scale crackdown on Islamist militants in Punjab, which may involve the paramilitary Rangers, who have been operating in Karachi for the last two years. President of Pakistan, Mamnoon Hussain; Governor of Punjab, Malik Muhammad Rafique Rajwana; and Chief Minister of Punjab, Mian Shahbaz Sharif, condemned the attack and announced three days of mourning. Business leaders announced that all shopping malls, bazaars, and markets in Lahore would be closed on 28 March, the day following the bombing. Several news agencies in Pakistan, such as the Express Tribune, changed their websites to display everything only in greyscale. The Pakistan Army said it would begin military operations across Punjab in response to the bombings, targeting militants, their facilitators and their hideouts. United Nations Secretary-General Ban Ki-moon condemned the attack and called for Islamabad to protect religious minorities. The bombing was condemned and condolences were offered by the leaders and spokespeople of many countries, as well as by church leaders. The victims and their relatives expressed concern at the lack of security and protection. ^ a b Gowen, Annie; Hussain, Shaiq (28 March 2016). "Death toll in Pakistan bombing climbs past 70". The Washington Post. Retrieved 30 March 2016. ^ "Death toll in Gulshan Iqbal Park tragedy rises to 74". Dunya News. 29 March 2016. Retrieved 31 March 2016. ^ a b "Suicide blast kills at least 72 in Lahore park". The Express Tribune. 27 March 2016. ^ a b "Lahore attack: Anguished Families Bury their Dead". The Express Tribune. 29 March 2016. Retrieved 29 March 2016. ^ a b "Pakistan explosion leaves many dead at Lahore park". BBC. Retrieved 27 March 2016. ^ "72 killed, over 300 injured in Lahore suicide blast". The News. 27 March 2016. Retrieved 27 March 2016. ^ Sophia Saifi, CNN (27 March 2016). "Pakistan bombing: Taliban targets Christians, kills 69 - CNN.com". CNN. ^ "Lahore Bombing: Suicide Attack Kills 72 in Park on Easter Sunday". SHAAN KHAN and MUSHTAQ YUSUFZAI. NBC News. 28 March 2016. Retrieved 6 October 2017. ^ (27 March 2016). Pakistan explosion leaves many dead at or in Lahore park. BBC. Retrieved: 30 March 2016. ^ "In Pakistan, Taliban's Easter bombing targets, kills scores of Christians". Sophia Saifi. CNN. 28 March 2017. Retrieved 6 October 2017. ^ a b "Scores killed in Lahore suicide attack". Al Jazeera. 27 March 2016. Retrieved 27 March 2016. ^ "Lahore attack: Pakistan 'detains 200' after Easter blast - BBC News". BBC News. Retrieved 30 March 2016. ^ a b Raja, Adeel; Shah, Zahir; Mullen, Jethro. 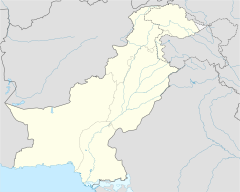 "In Pakistan, Taliban's Easter bombing targets Christians; 67 people killed". CNN. Retrieved 28 March 2016. ^ a b Los Angeles Times (27 March 2016). "Taliban says it targeted Christians in a park on Easter Sunday, killing 65". latimes.com. ^ "Pakistan Taliban faction announce split, new leader". Agence France-Presse. 4 September 2014. Archived from the original on 11 November 2014. Retrieved 11 November 2014. ^ "At least 60 dead, over 250 injured in Gulshan-e-Iqbal blast in Lahore". The Nation. Retrieved 27 March 2016. ^ a b "30 killed in Lahore's Gulshan-e-Iqbal Park bombing". Pakistan Today. Retrieved 27 March 2016. ^ "At least 65 dead after suicide attack in Lahore park". Dawn. Retrieved 27 March 2016. ^ "Deadly blasts hit Pakistan churches in Lahore". BBC News. 15 March 2015. Retrieved 27 March 2016. ^ a b Saifi, Sophia. "In Pakistan, Taliban's Easter bombing targets, kills scores of Christians". CNN. Retrieved 28 March 2016. ^ "Blood Donors Crowd Lahore Hospitals Following Devastating Park Bombing on Easter Sunday". Global Voices. Retrieved 28 March 2016. ^ Gowen, Annie; Hussain, Shaiq (28 March 2016). "Death toll in Pakistan bombing climbs past 70". The Washington Post. ISSN 0190-8286. Retrieved 29 March 2016. ^ a b c "Suicide blast kills at least 72 in Lahore park". ^ "Lahore bombing: Pakistan mourns as death toll rises". Al Jazeera. 28 March 2016. Retrieved 28 March 2016. ^ "Lahore attack: Pakistan 'detains 200' after Easter blast". BBC News. ^ "Pakistan plans new paramilitary crackdown; Easter bombing kills 70". Reuters. 28 March 2016. Retrieved 30 March 2016. ^ a b "Jokowi: Indonesia Mengutuk Keras Serangan Bom di Lahore Pakistan". M.detik.com. Retrieved 28 March 2016. ^ "Lahore blast: Govt announces three-day mourning in Punjab". Daily Times. 27 March 2016. Archived from the original on 5 April 2016. Retrieved 28 March 2016. ^ Hanna Azarya Samosir. "Pemimpin Dunia Mengutuk Bom Bunuh Diri di Pakistan". CNN Indonesia. ^ "Military gives go-ahead for Punjab operation after Lahore carnage". ^ Manila Bulletin. "Pakistan suicide blast targeted Christians: Taliban". ^ Iyengar, Rishin. "Outpouring of Sadness and Solidarity for Pakistan as World Reacts to Lahore Blast". Time. Retrieved 28 March 2016. ^ "Lahore bombing: Pakistan mourns as death toll rises". www.aljazeera.com. Retrieved 26 April 2016. ^ "Death toll in Pakistan bombing climbs past 70". Washington Post. Retrieved 26 April 2016.